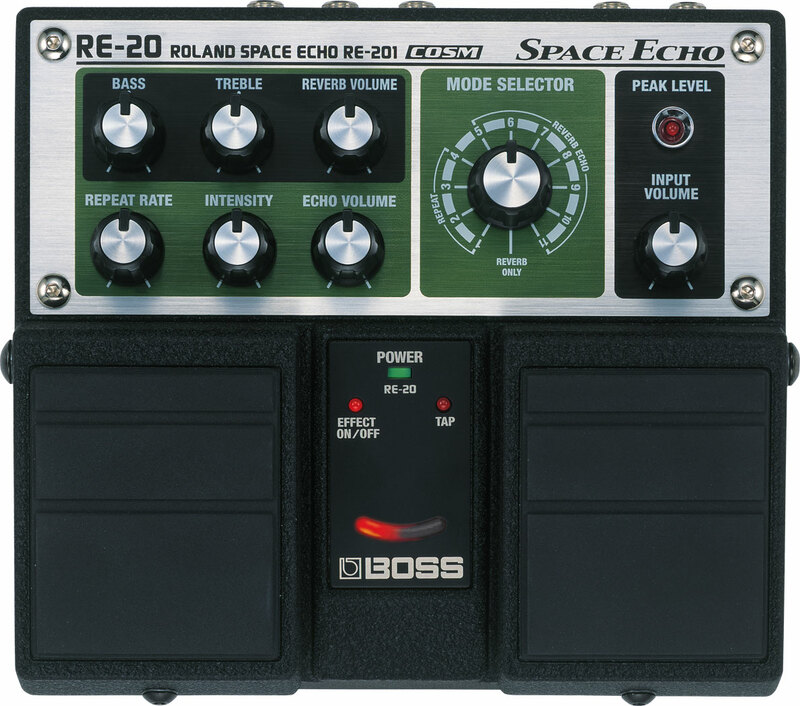 Analog Man carried the Boss RE-20 Space Echo RE-201. Amazing simulation of the famous Roland RE-201, with the spacious, analog tone of the original Space Echo. Amazing simulation of the famous Roland RE-201, with the spacious, analog tone of the original Space Echo. Faithful modeling of the Re-201's tape flutter and magnetic head sound saturation. Tap input pedal allows delay time to be set by foot. Longer delay time than the original RE-201.